Animated progress bars and status panel – now you know when will the uploads complete. 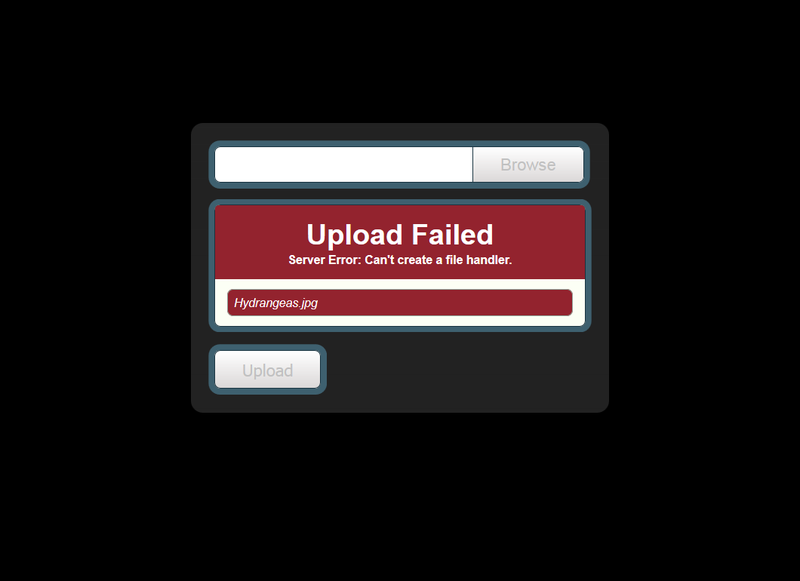 Error Handling – If something goes wrong the user is always informed about what exactly happened. Easy color scheme tweaking and customization – With the stylesheets prebuilt using SASS and the colors declarations moved to one place, customization became even easier. Server Error Handling – If something goes wrong on the server you can easily inform the user about it by using a JSON response. 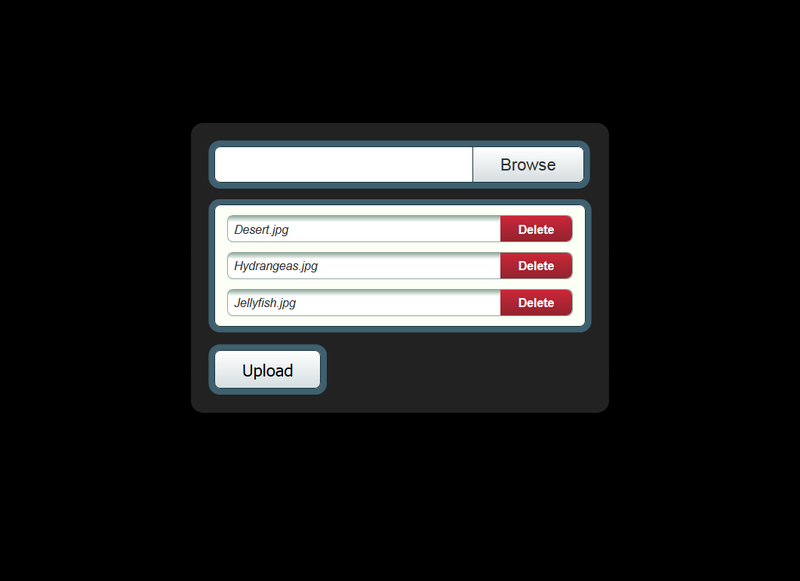 Uploadrr is cross-browser compatible and fully usable on browsers with no HTML5/CSS3 support. Feel free to contact me if you encounter any issues. Stylesheets cleaned up and structured with SASS. Progress bars redesigned and animated. Added hover and pressed states for the file item. Long file names no longer break the design. Preupload errors now appear in an animated red box, instead of alerts. Now supports passing additional data with uploads. New functionality: implemented file count limit and upload link show/hide. Added support for latest browsers. Fixed IE 9 style bug. Added large file support (>100MB). Double IE filenames bug fix. Server side file extension and type checking. Rebuilt as a JQuery plugin. Progress bars act as links to the uploaded files. File extension check bug fix.